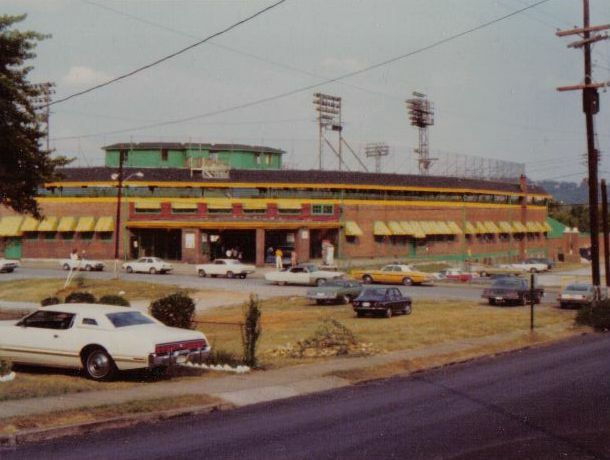 August 1976. Engel made up in yellow and green. 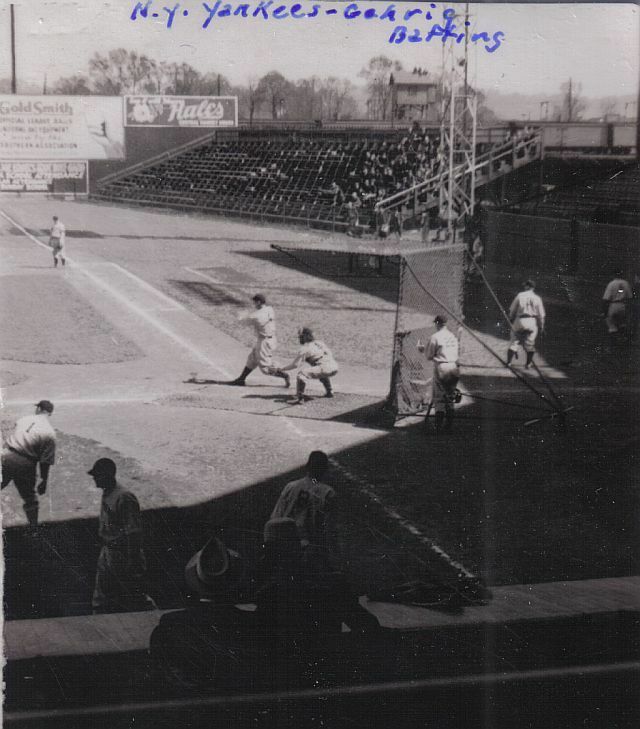 Photo of Lou Gehrig taking batting practice in Engel Stadium in April of 1937. 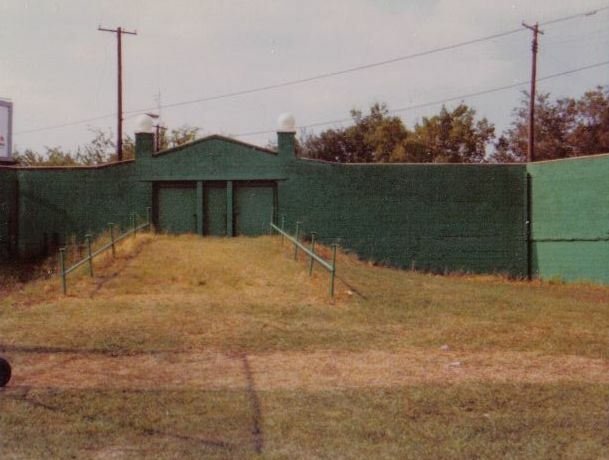 View of the front gates from across the street in August 1976. 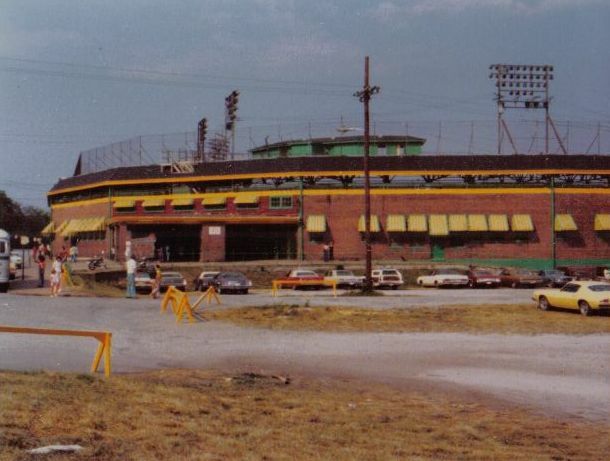 View from parking lot before the 1976 makeover. 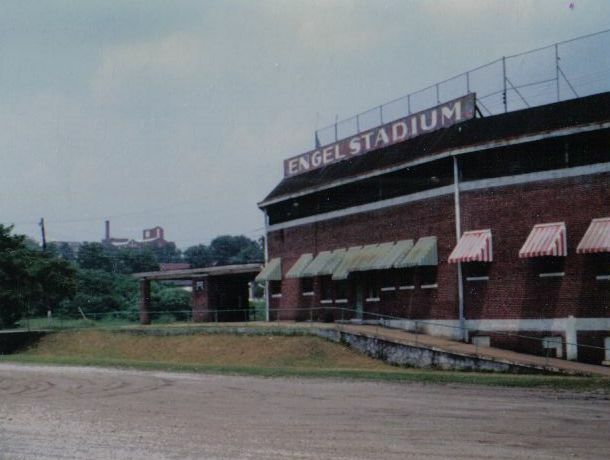 Notice the "Engel Stadium" sign still over the box office. 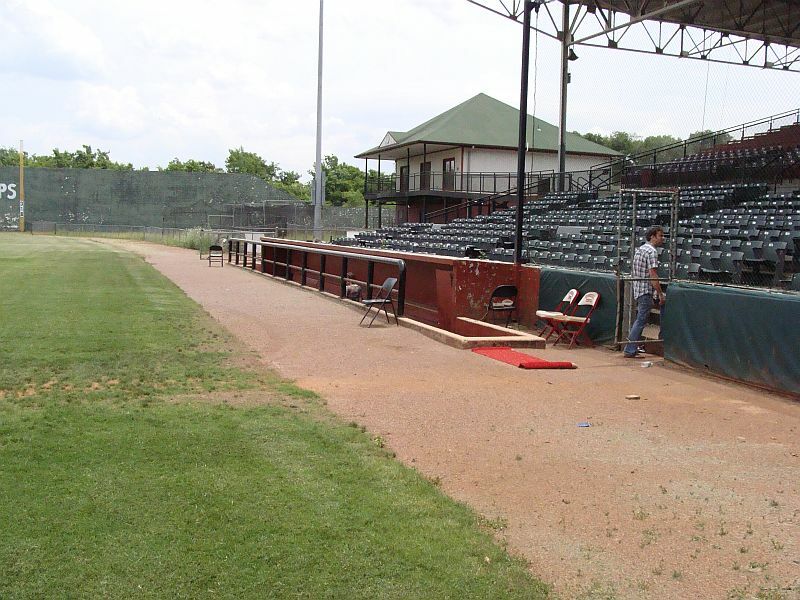 View from 3rd street looking at the 3rd base side gate. This gate was for African Americans to use in place of the main gate. 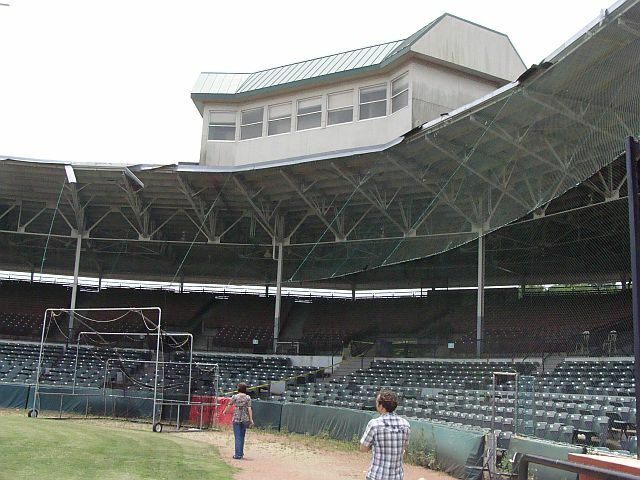 3rd base side facing the grandstands. 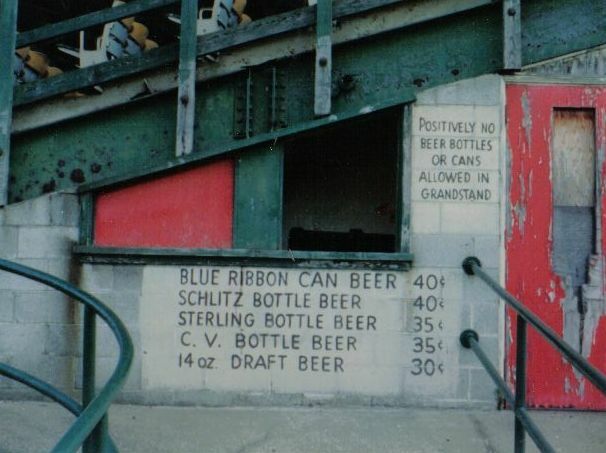 This improvised beer stand was created under the grandstands. 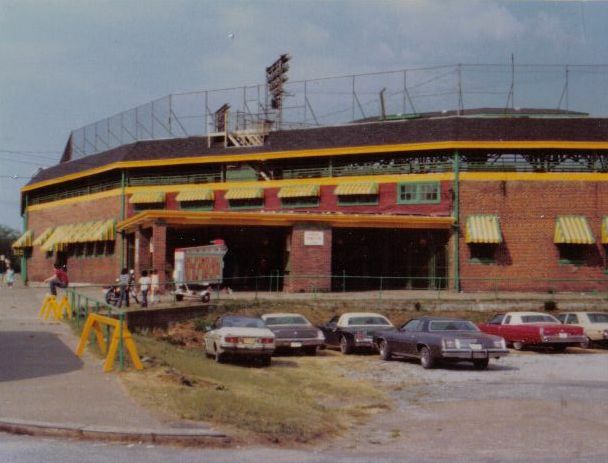 August 1973. 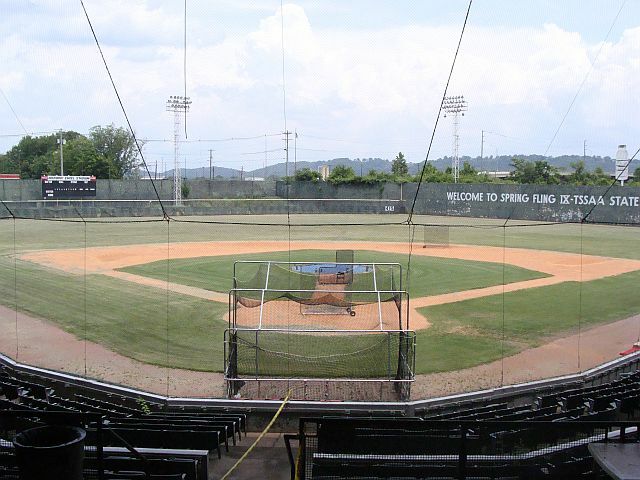 Pre-renovation Engel Stadium. She still retains her look from the 1950's. 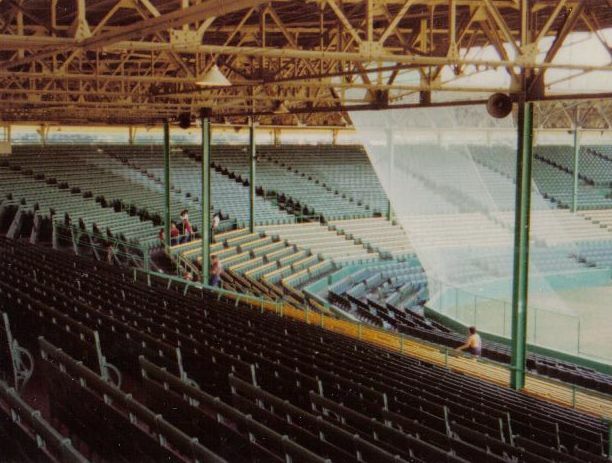 Taken August 1973. 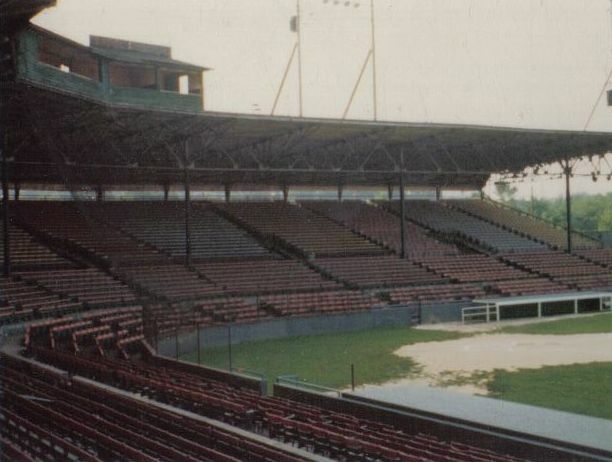 View of the grandstands from the 1st base side. 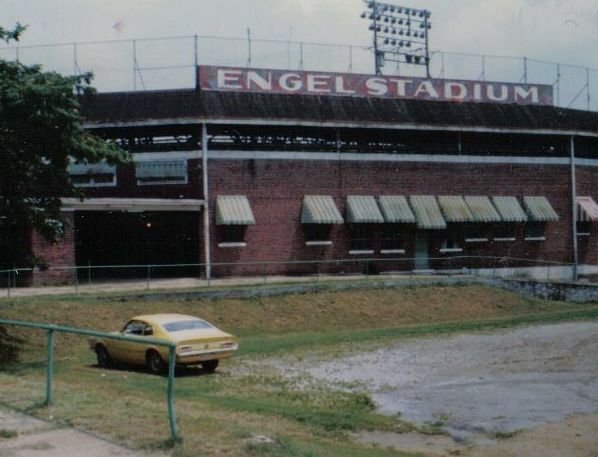 Notice the pressbox is open and the Engel Stadium sign is still on top. 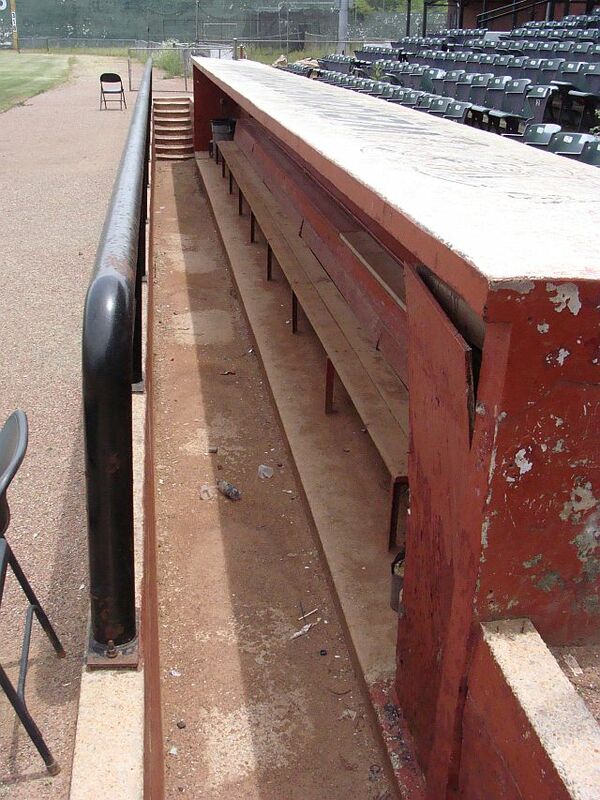 It would be 3 more years before these seats see baseball again. 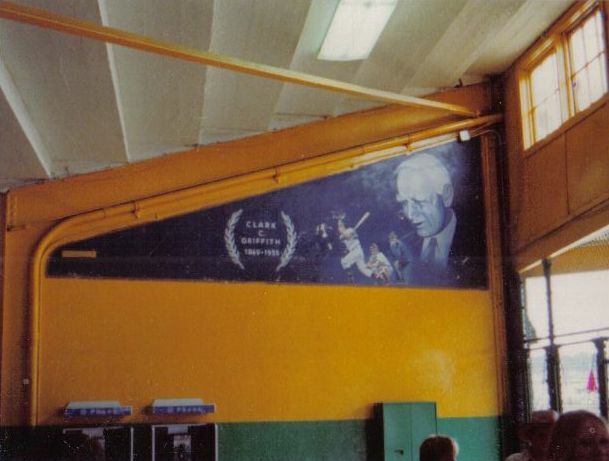 Just inside the main gates, facing the gates and above the phones is a homage to Clark Griffith. 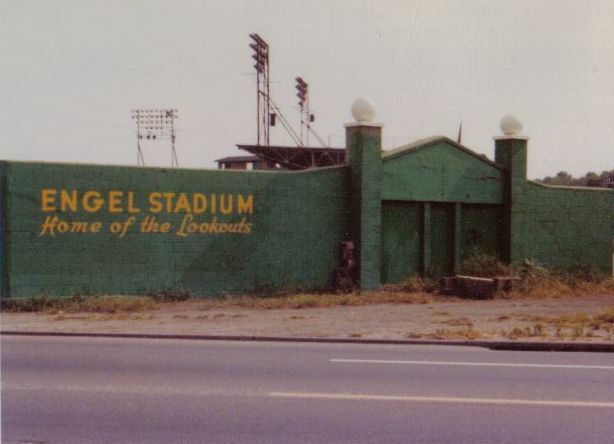 Although coated in yellow and green paint for the '76 season, this fantastic memorial remained. 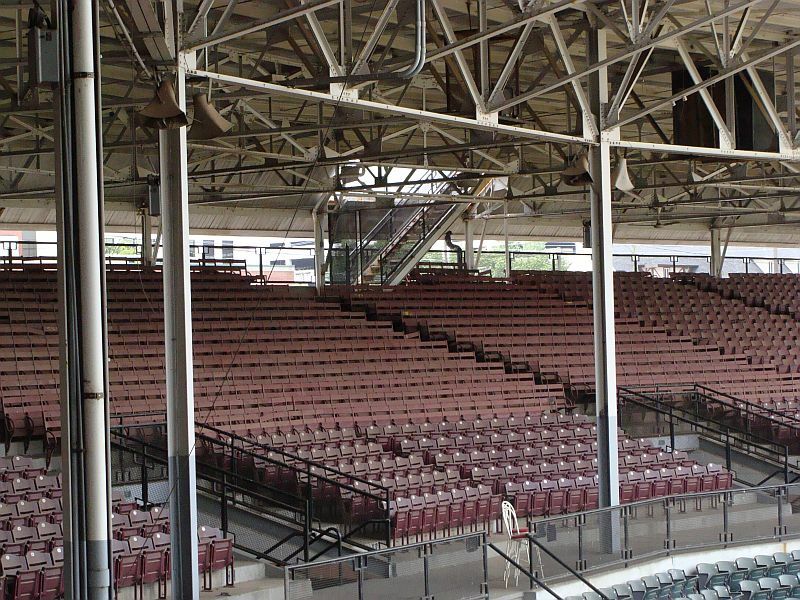 Awesome view from top of the grandstands on the 1st base side. 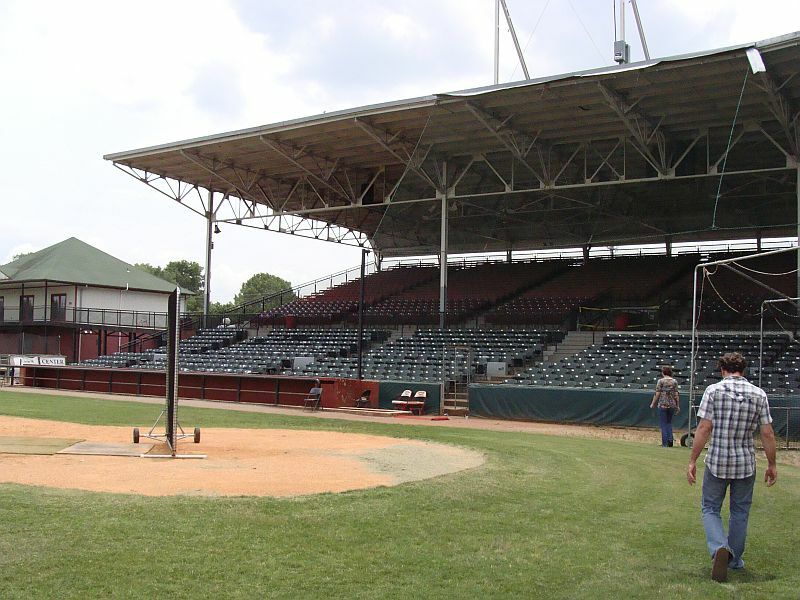 All dolled up for a new season. 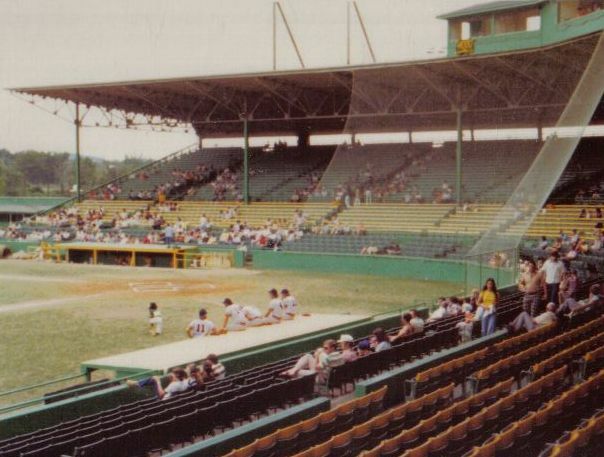 August 1976. 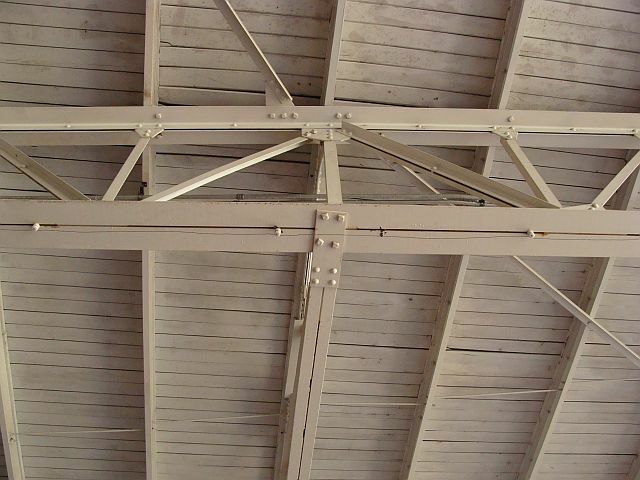 An interior view of the African American's gate. Obviously not used in years.